The Gouyave Biorock Pilot Project moves into another crucial phase. The fabricated steel structures were deployed on Monday, 25 June 2018 off the coast of Gouyave. 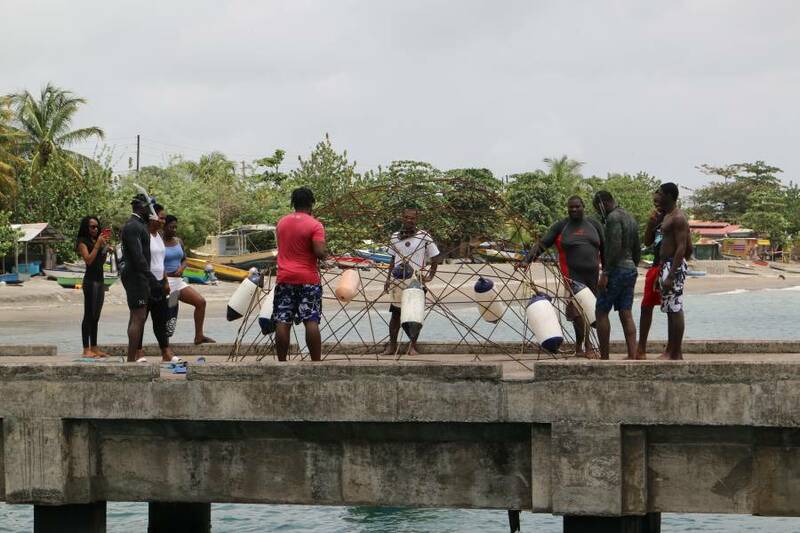 The initiative driven by the Grenada Community Development Agency (GRENCODA) along with the Gouyave Fishermen Cooperative Society Limited, seeks to replenish coral reefs which will ultimately promote breeding ground for various species of aquatic life. The site will be designated as a new Marine Protected Area (MPA) as part of the initiative to ensure the protection of sustainable livelihood for the fishing community which depends heavily on marine resources. Assisting in the installation of the project is Thomas Goreau, President of the Global Coral Reef Alliance (GCRA), a non-profit organisation dedicated to scientific research on coral restoration. GCRA has a track record of working alongside other environmental groups around the world to restore and maintain coral diversity. Goreau was invited to Grenada to help undertake this project by the Grenada Coral Reef Foundation headed by Roland Baldeo. Goreau is very optimistic that the project will yield success as they now embark upon another phase. He said a low voltage electricity supply will be connected with the underwater steel structure to promote the growth of mineral crystals such as calcium carbonate and magnesium hydroxide which in turn leads to the formation of corals. 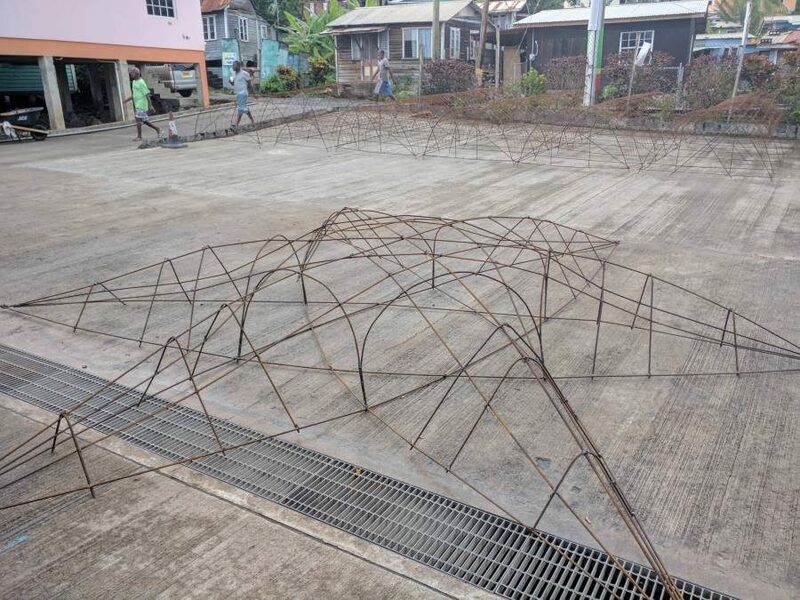 A team of volunteers, some of whom are St George’s University Marine Biology students, assisted in the deployment of these structures out to sea together with technical assistance provided by National Marine Protected Area Coordinator Olando Harvey.